Jury is all praise for the dynamics in the Ford vehicles and offers team award to the new Fiesta ST, Focus ST, all-new Kuga and new B-MAX. The specialist for the vehicle dynamics, David Put gets an individual award. 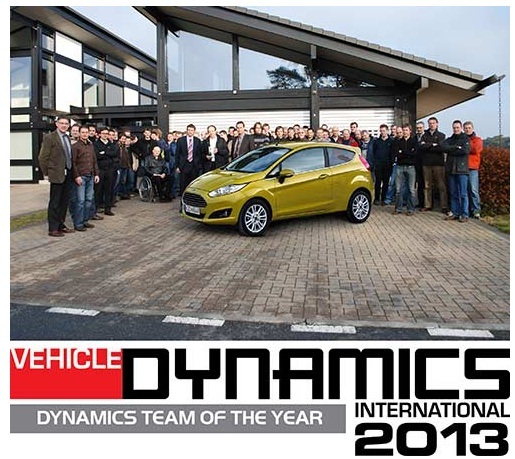 Ford vehicles get lauded for dynamic handling and precise steering and becomes the first manufacturer to win both titles, the Dynamics Team and Dynamicist of the Year, twice. A panel of 29 automotive journalists had some difficult decisions to make and selected the winners and hailed the team’s work of Ford. According to them, these vehicles are absolute pleasure to drive and very responsive. The Ford team has always focused on the driving pleasure and dynamic behavior in its cars and with these latest models, Ford has proved once again that it has always managed to put the ride and handling at the core of its vehicles. Whether the car is a desirable hot-hatch or a practical MPV, you will find these vehicles coping with a finesse those bumpy roads and speedy driving. If you have never driven a new Ford before, do it now as you will have the ultimate driving pleasure never experienced before. The dynamicists in the team have apparently had all the freedom to test their creativity and what we have here are some of the most subtle and responsive cars. Clearly, Ford is working much harder to make sure their vehicles stand out in all segments where performance and dynamics are concerned. What we get here are cars with optimum ride quality.